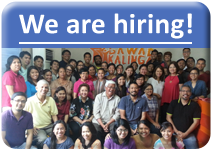 GK Singapore shares the vision of Gawad Kalinga for a world poverty-free, sustainable communities where people live with dignity and in harmony. The base in Singapore serves as a hub for innovation and partnership in driving the work of Gawad Kalinga in the Asian Region. To know more about GK Singapore, please visit our website HERE.